This idea is came from my friend Cheri who found it on the Design*Sponge website. First step was date each card with the month and day…. Then add the year and what you did that day… This I can do! 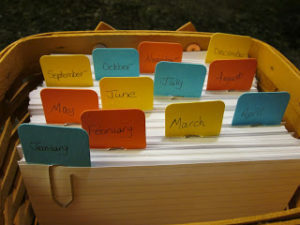 It is a mini diary that can be added to each year.